Each owner wants his house was beautiful. How to furnish the room and give her comfort and unique style? There is no single recipe because everyone has their own taste. But there are basic principles that will help in this difficult case. In order for the room was cozy and nice, you should adhere to certain rules. They are not mandatory but allow to furnish the room beautifully. Furniture, accessories and good taste. In the arrangement of furniture is necessary to consider all household processes. Working place – near a window, place in the center, sleeper – in the darkest part of the room. Desk should not be placed on the aisle. The bookcase is better positioned close to the Desk. Dining table is better to put it closer to the cupboard or sideboard. The furniture should not interfere with the owners of the room move around her. 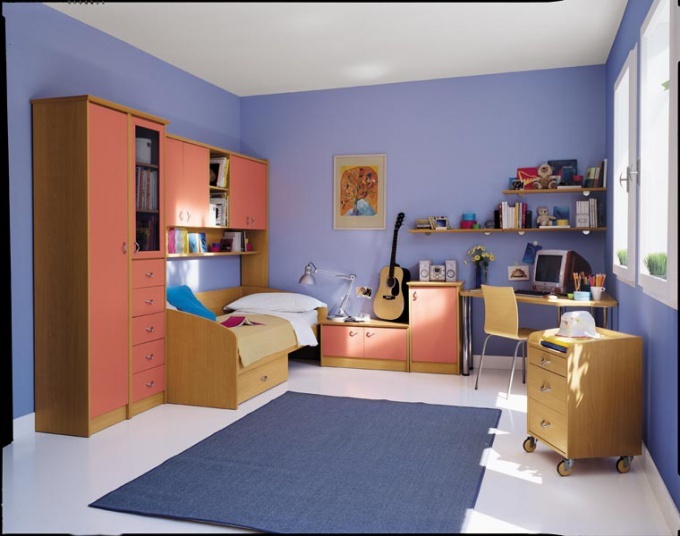 If the room is home to a few people, then the aisles should be wider than, for example, in the bedroom for two. Need to choose those pieces of furniture that blend harmoniously with each other. Well if it is a set of furniture in the same style. It is better that the material from which made the furniture will blend in with floors and Windows. Cannot be placed in the room too a large number of items. This will give it the appearance of a den and will be deprived of a sense of volume. Beautifully furnish a room is possible only at observance of a sense of proportion. All the items in the room must match not only in style but in color. Otherwise, the room will resemble an artist's palette, and overall perception will not arise. If you want to spice up the interior with bright shades, choose for this little items. 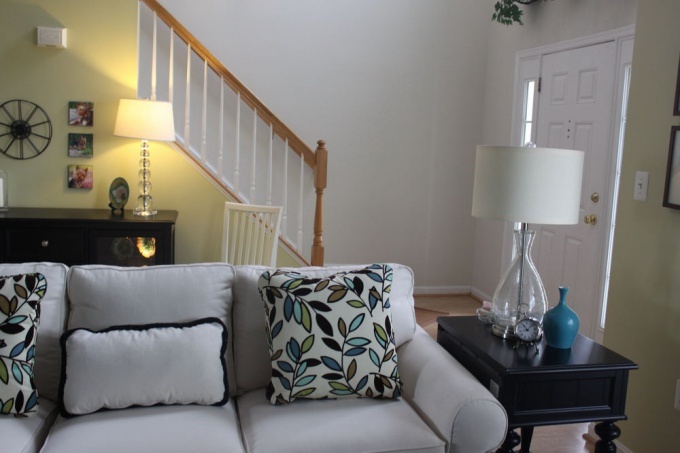 A small number of small bright spots will allow you to make interesting any room. But do not overload the room with accessories. Select the style in which you want to furnish the room and stick to it. Do not combine incongruous - inappropriate Oriental rug in a room of high-tech style. Before you begin to arrange the furniture, think it through. Draw a floor plan on paper first and try to arrange the furniture in the picture.